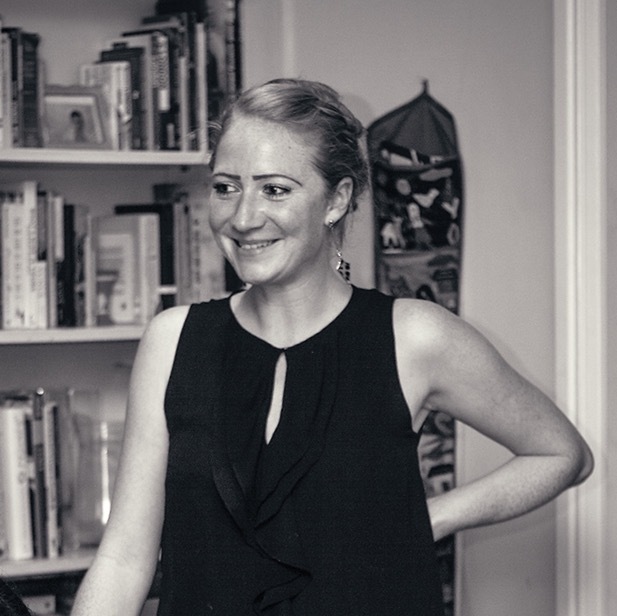 As I'm sure you all know, I do pop up supper clubs at my home, and occasionally at other venues as well. 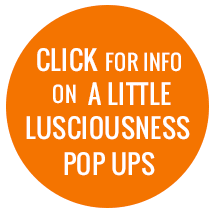 I absolutely adore doing these events - I love cooking and it's so nice to meet my wonderful guests, some of whom have become friends having attended an A Little Lusciousness pop up. In November last year a couple came to a pop up who live close by, the husband supports the same football team as the boy, they stayed in touch, me and the wife went out for drinks and now they're friends of ours, so much so that I was invited to go to the London Foodie Supper Club with Robin a couple of weeks ago. 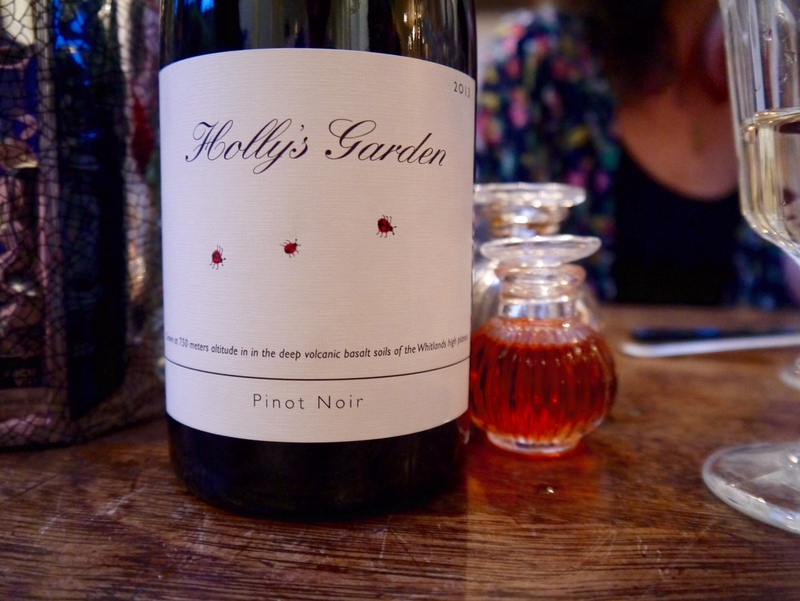 She'd bought 2 tickets and wanted for me to have the chance to experience someone else's pop up supper club. I'd heard so many good things about The London Foodie so said a definite yes to the invite, and counted down the days til the event itself. 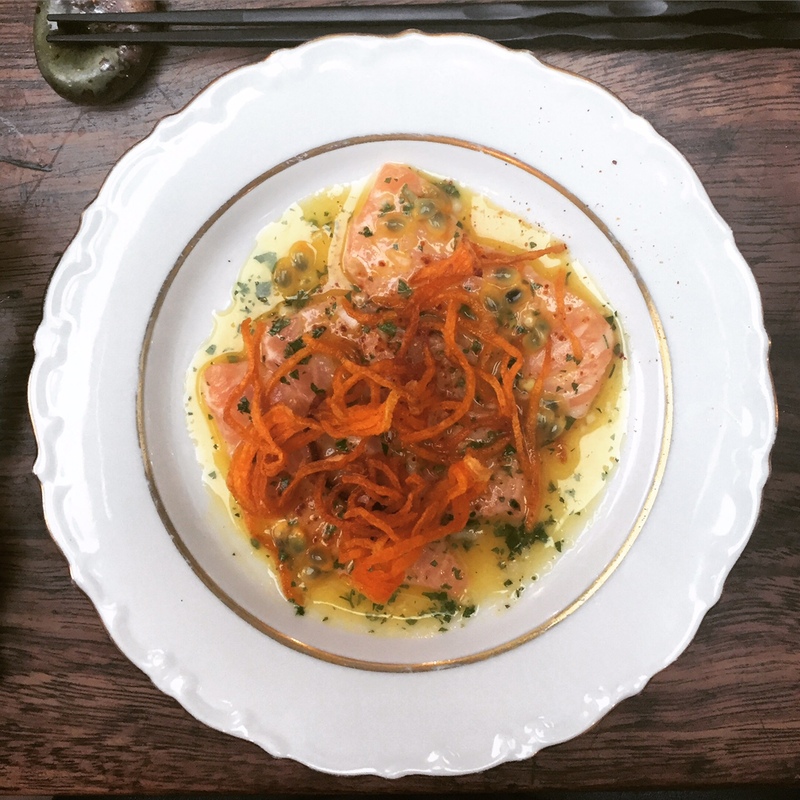 The London Foodie is Luiz, an investment banker turned chef and food/wine/travel writer, born in Brazil to Japanese and Italian parents, who's been running supper clubs in his house for the past 4 years. Luiz does two different styles of supper club - one is based on French cuisine and the other on Japanese. The night I went to was a slight deviation from the second of these as he introduced a Nikkei style of cooking to his pop up. Nikkei cooking is a mix up of Japanese and Peruvian styles and has now expanded to include influences from all over South America. Think sashimi with a tiger's milk dressing, as well as the use of corn and potatoes with more traditional Japanese style food. I first discovered Nikkei cuisine in Seville in Spain, of all places, and it's become a firm favourite since. I dashed from work in West London to Islington on a Friday evening, desperate to arrive in time, and getting there literally as people were moving from the living room area upstairs where we treated to a welcome gin and tonic and some wasabi popcorn, to the gorgeous downstairs area where long tables were set up and the doors to the beautiful garden were wide open, letting the last of the day's warmth stream in. Unlike my pop ups Luiz does do a seating plan, though it makes little difference as you are still sitting next to people you don't know - all of whom were absolutely lovely, some new to the this particular supper club and others who'd been before. Luiz came out to the tables to talk us through the menu and explain each dish that we're about to eat, while we filled our glasses with the BYOB wine we'd brought. In fact Robin had been an absolute gem and had been to our local wine shop in Acton to pick out some special bottles for the night. 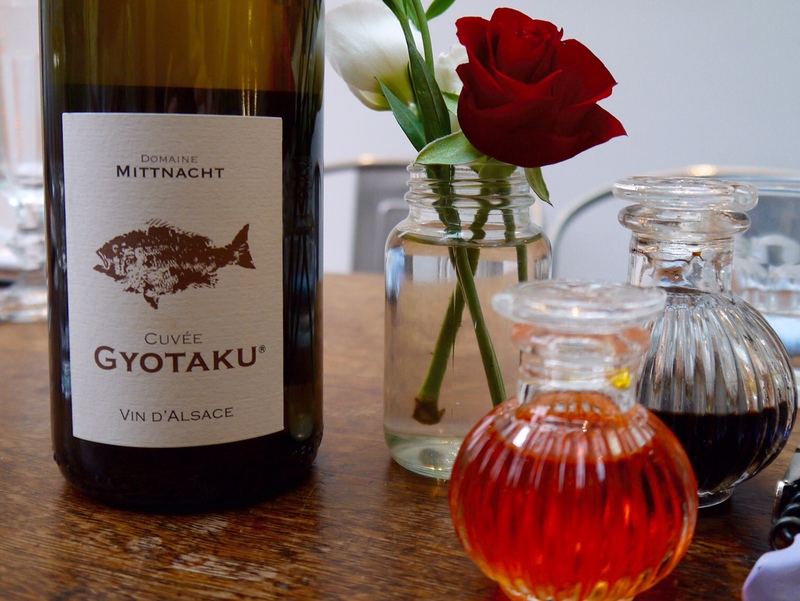 Luiz had sent us a copy of an article he'd written on matching Japanese food with wine, which Robin had taken to the wine shop and bought bottles based on their suggestions. Both choices were divine and paired wonderfully with Luiz's food. I loved the design of the labels of both bottles too. 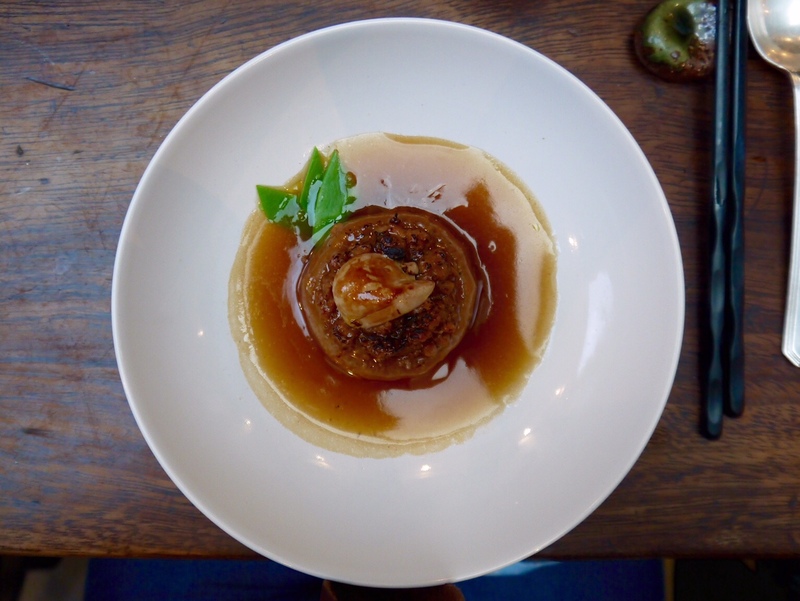 Another really helpful link that Luiz had included in his intro email was that to an article on the etiquette of supper clubs - a great read as both a guest and host of such events. Luiz's supper club comprises of 5 different starters, brought out one by one, a main course and pudding. Pacing ourselves was definitely required! The first starter was a version of "the dish" that coined the term Nikkei cuisine - 'salmon tiradito' - Peruvian sashimi of salmon, passion fruit tiger's milk, crispy kabocha (squash) and espelette (a type of chilli pepper). A fantastic start to the meal, the salmon was beautifully tender and flavoured with the amazing passion fruit tiger's milk - not a flavour pairing I'd had before but definitely one I will seek out in future. The second starter was I think my favourite of the five, though it's so hard to choose! 'Deconstructing sushi' - grilled scallops on sushi rice, wasabi flavoured tobiko eggs (flying fish roe), nori (seaweed) and the most incredible spicy creamy sauce. 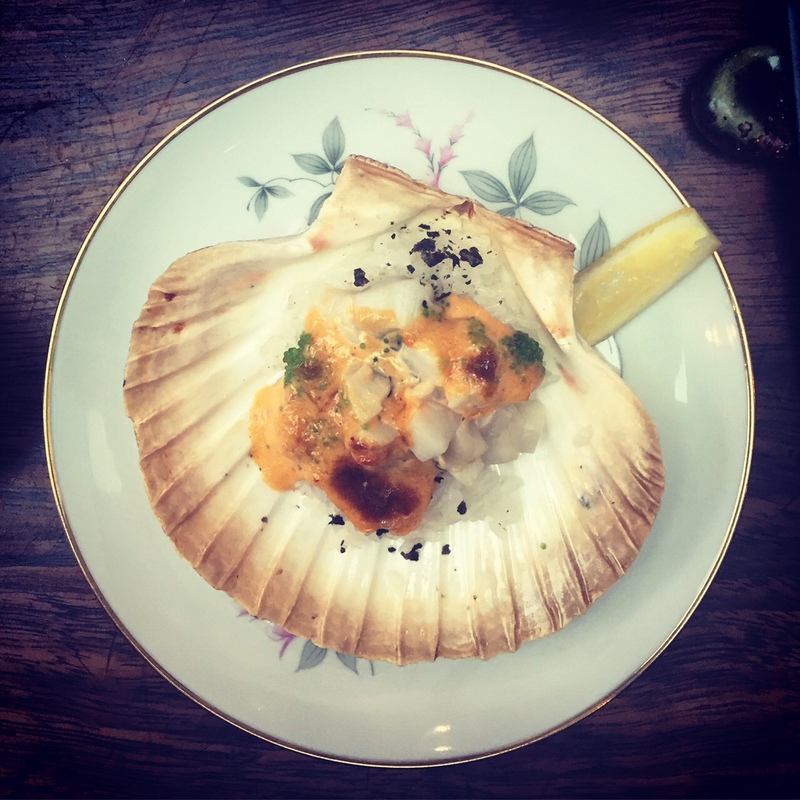 Like an unwrapped sushi roll, topped with perfectly cooked scallop I had to stop myself licking the shell clean. 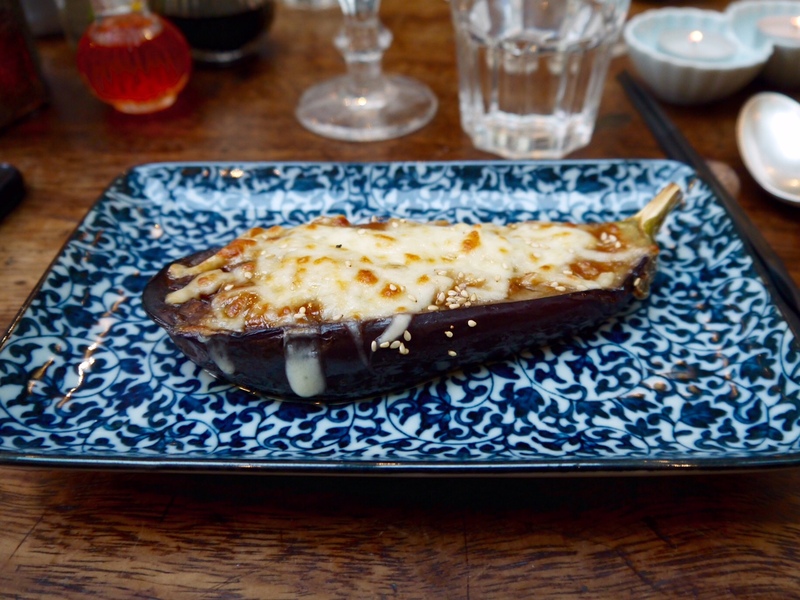 Next was 'nasu dengaku' - grilled aubergine topped with miso, mirin and sugar dressing, topped with mozzarella cheese, which had been grilled to melt over the aubergine. This was my least favourite of all the dishes, not bad but just not as tasty as the rest of the dishes. The aubergine was sweet and had been chopped up so it was easy to remove squares of the vegetables with our chopsticks, but I felt the cheese was too heavy for me as part of a 7 course meal! Starter number 4 (!) was 'nimono' - daikon fondant (daikon is a crunchy vegetable from the radish family) with soboro chicken (seasoned, ground chicken) and blow-torched foie gras. Such an innovative and interesting dish, the daikon had taken on all sorts of rich flavours from the meats and was doused in the glossiest, sweet sauce. 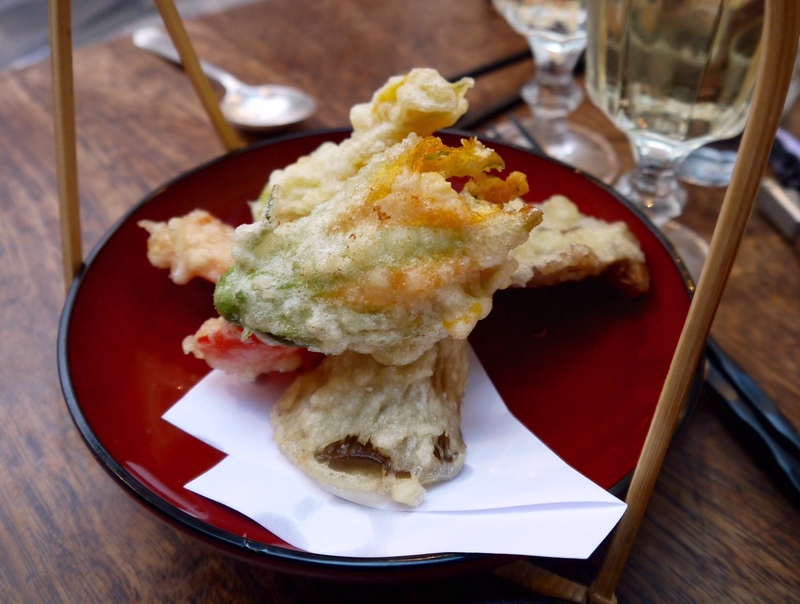 The last of our starters was 'tempura' - deep fried courgette flowers filled with scallop, tofu and lemon mousse, with deep fried oyster mushrooms and peppers with a lovely dipping sauce. Another dish made with imagination and delivering on the visual and taste fronts. I was holding back a little by this point to save myself for mains. Starters are followed by a pause - for cigarette and toilet breaks and to aid digestion! 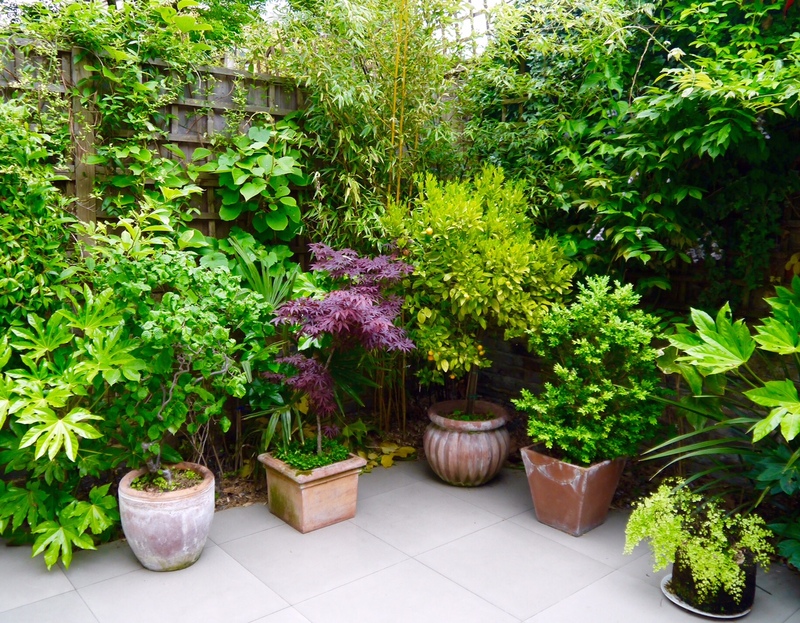 I loved this idea as it really gave us a chance to make room for the mains. Mains were an absolute triumph. 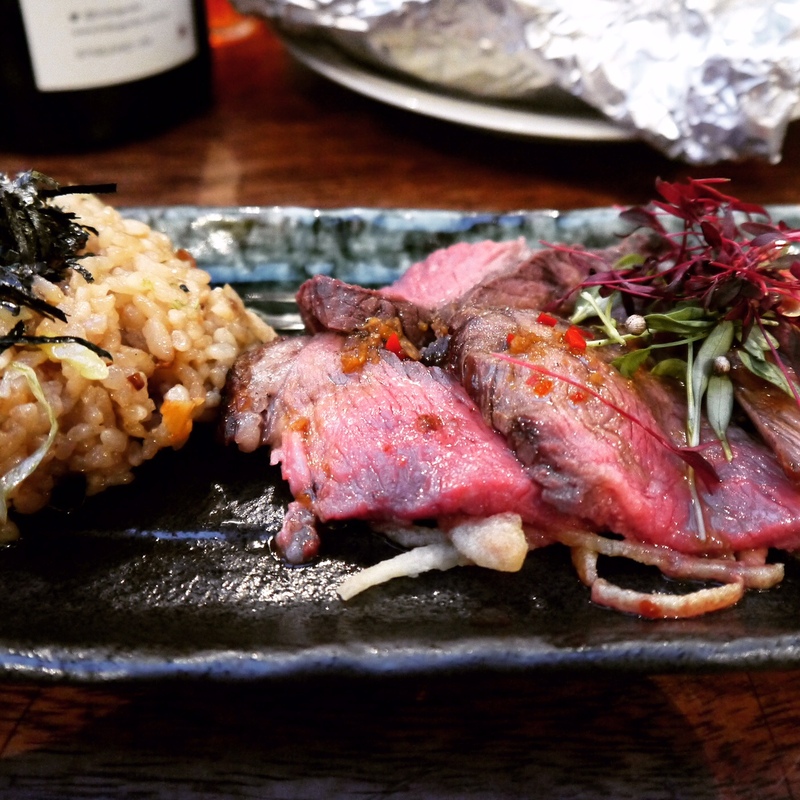 'Yakiniku' - Brazilian beef picanha in rock salt, crispy onions, soy sauce and lime dressing with 'ninniku chahan' - Japanese stir fried garlic rice, and Japanese mushrooms and truffle ponzu butter baked in foil. It's like Luiz has travelled the world and chosen the best of the best, then created dishes pairing all these ingredients together and come up with the most delicious plates! The beef was meltingly tender and so full of flavour, and though I had very little room left for carbs, what I did try of the rice was excellent, with a strong but not overpowering flavour of garlic. All paired perfectly with the slightly acidic mushrooms. 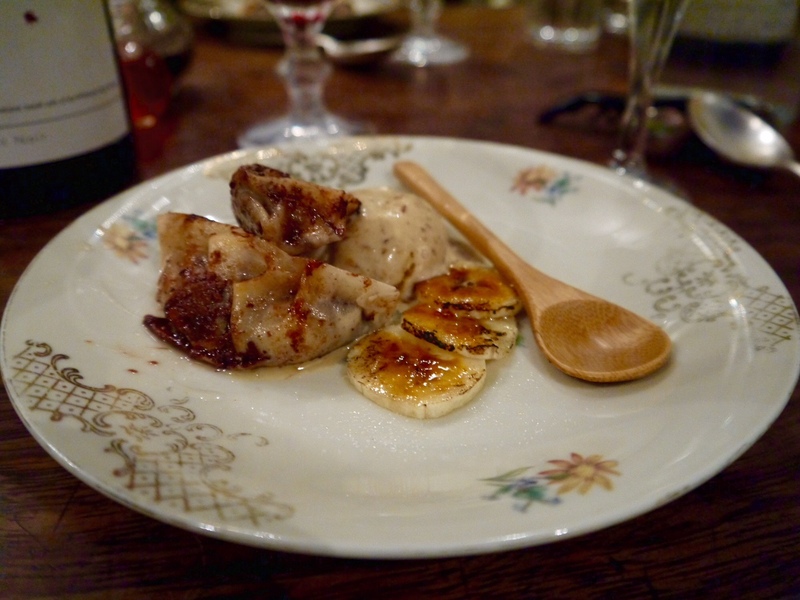 Pudding was banana and nutella gyoza with black sesame caramel ice cream, caramelised bananas and a shot of sweet muscat wine. The absolutely perfect end to a perfect meal. OMG, I love this type of food, the tiradito and the aubergine look perfect. I've met Luiz before and he's lovely. Gorgeous spread! I'll have to check this out. Do check it out, amazing food and a really fun night out. I know, such good value for such amazing food! The salmon tiradito looks great, as does the dessert gyoza... not the biggest banana fan but I think I could look past that when it's combined with nutella and caramel! There were 2 tables, with 10 per table.... I think!! Not sure what the table plan is based on but he sits you next to the people you booked with, so I guess it's based on numbers per group and how that works fitting on to the tables. Such amazing and interesting heritage! And it really shows in the food, so good!! The beef was insanely good Lucy. I want it again now!! This sounds utterly mouthwatering, and definitely worth a taste or several!